We want our shoppers to treat themselves to designer wrist candy this spring season. A fashionable designer watch is the perfect boost to any wardrobe. And we have hundreds of deals on luxury brand name watches in celebration of the new season. 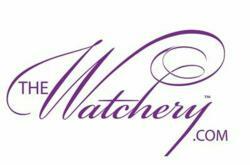 The Watchery is the Web’s leading high-end online retailer of luxury watches for men and women’s designer watches. And this year, in honor of Easter, the premier watch source had shoppers hopping with happiness as they placed hundreds of watches on sale for everyone. The seasonal sales event brought shoppers affordable, sought-after luxury brand watches at up to 88% off suggested retail pricing. In fact, The Watchery has such an expansive inventory of designer watches for both men and women, that the luxury watches and designer watches choices are endless… As well as affordable. One of the most popular and classic brands of luxury watches this season in is Rotary, and The Watchery has just gotten a fresh delivery of Spring/Summer 2012 styles—thereby providing an extensive selection in order to make sure shoppers can find every popular trend this season. In addition, more of the world’s trusted watch designers are also include in the special, including styles by the following luxury watches: UBOAT watches, Swiss Legend watches, I by Invicta, watches by Movado, the Stuhrling Original watch and Lucien Piccard are also included in this unbelievable miracle of a sale. In addition to the savings on the designer watches, The Watchery is also giving customers free shipping on all domestic orders, and any customer who is not satisfied with their purchase has a 30-day money back guarantee. Shoppers on the hunt for their favorite wrist candy during the Easter sale should visit soon before it’s too late! All of the most popular luxury brand watches make great giftables this season, and The Watchery is thrilled to offer women’s and men’s luxury watches at an eye-popping 90% off in celebration of the Easter holiday. TheWatchery.com offers men’s watches and women’s classic timepieces that are designed to always tell time with the utmost elegance. Some other style features include precise automatic time, measurement and intricate detail and design. There is something for everyone at The Watchery, with chronograph watches, diver’s watches, sports watches, dress watches, men’s watches, women’s watches and kids’ watches, too. Furthermore, any designer watches ordered before 2pm ship the same day and is brand new, never worn, with original factory parts and 100% authentic guaranteed. As always, The Watchery strives to deliver the top customer service in discount luxury brand watches. Consequentially, customers have been shopping The Watchery’s extensive luxury watches collection with trust for years thanks to shopping morale boosters such as free shipping, 30-day satisfaction guarantee and more. The Watchery is a leading online shopping destination for consumers of luxury brand watches and designer watches at the best prices on the web. The Watchery prides itself on offering its customers the broadest range of name brand men’s watches and ladies watches at the lowest prices anywhere. From Invicta to Movado to Swiss Legend, there are over 60 watch brands at up to 80% off retail prices. Constant and consistent positive reviews are available on the website. To get the latest buzz and inside scoop, visit and follow The Watchery on Facebook and Twitter.